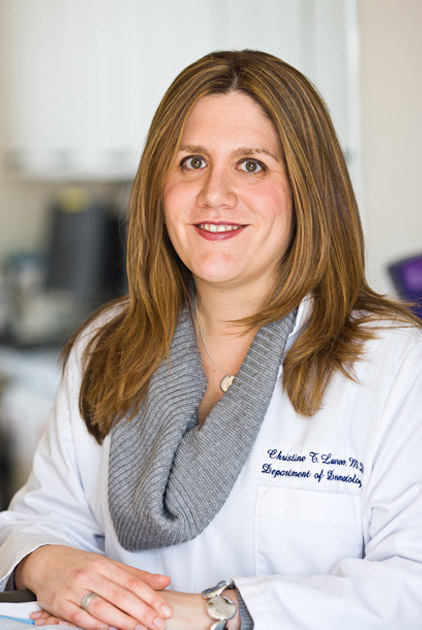 Dr. Lauren is an Associate Professor of Clinical Dermatology and Clinical Pediatrics at the College of Physicians and Surgeons, Columbia University. She received her undergraduate degree from Cornell University and medical degree from Columbia University, College of Physicians and Surgeons where she was elected to Alpha Omega Alpha Honor Society. She completed residency training in Pediatrics at the Children's Hospital of Philadelphia where she was selected as chief resident. Dr. Lauren then returned to Columbia University to complete her Dermatology residency at NewYork-Presbyterian Hospital. Following her training in Dermatology, she completed a Pediatric Dermatology Fellowship under the tutelage of Dr. Maria Garzon. Dr. Lauren is board certified by the American Board of Dermatology and the American Board of Pediatrics. She is a fellow of the American Academy of Pediatrics and the American Academy of Dermatology. She is a member of the Society for Pediatric Dermatology and the Pediatric Dermatology Educational Interest Group. She has participated in several ongoing clinical studies and trials and written several book chapters in both dermatology and pediatrics. Her areas of interest within pediatric dermatology include: atopic dermatitis/inflammatory disorders, collagen vascular diseases, vascular birthmarks, genodermatoses and neonatal dermatology.